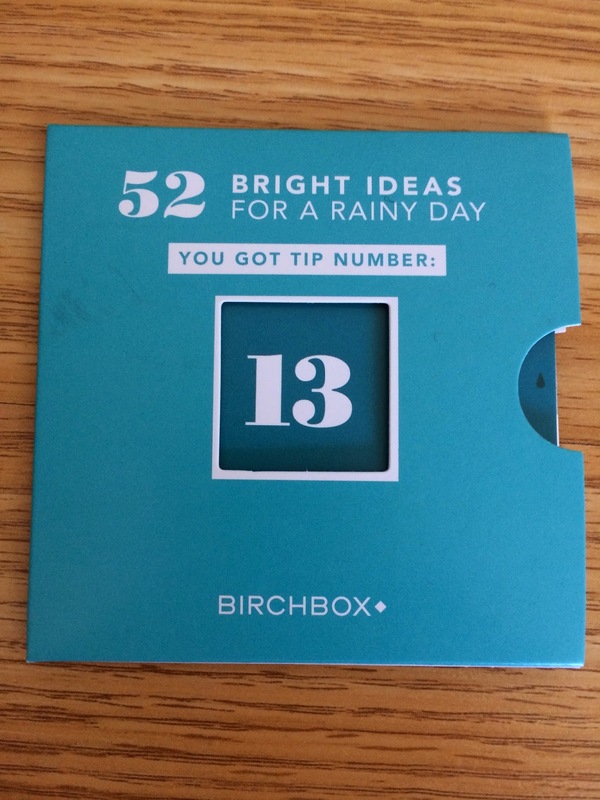 I received my April Birchbox and the theme is Rainy Days. 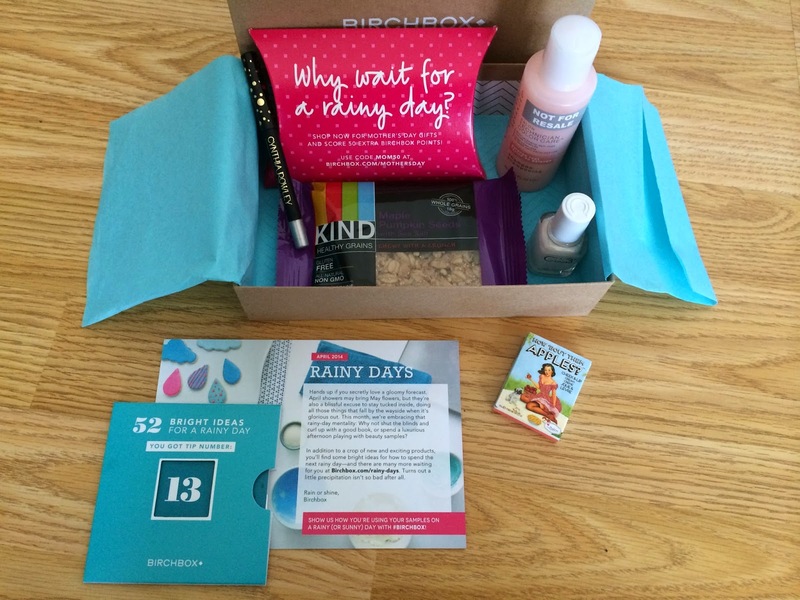 Embrace the rainy day mentality and shut the blinds and curl up with a good book or spend the afternoon playing with beauty samples. 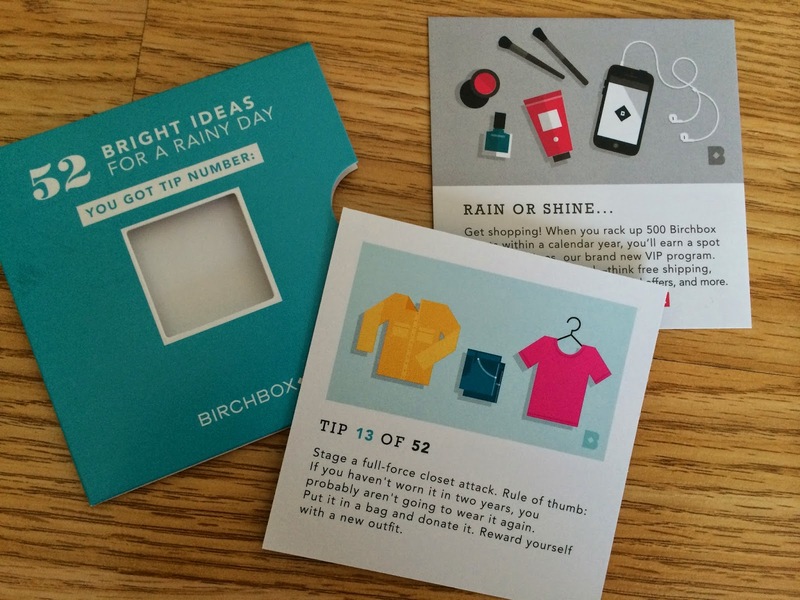 This month Birchbox even included bright ideas for rainy days. I received tip #13 of 52 "Stage a full-force closet attack. Rule of thumb: If you haven't worn it in two years, you probably aren't going to wear it again. Put it in a bag and donate it. Reward yourself with a new outfit." I loved this tip and I've been trying to do this a lot more often than I used to. It feels good to have extra space for new stuff!!! 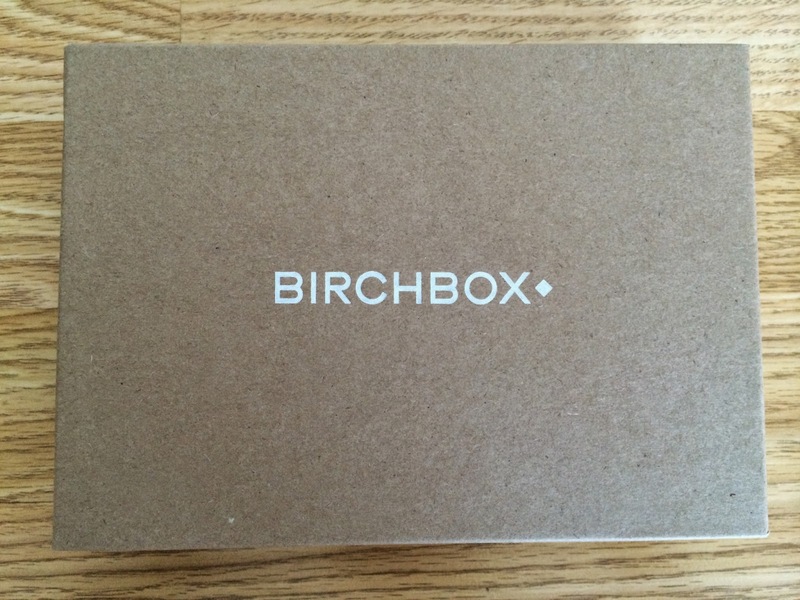 Here is what I received this month and as usual Birchbox always includes an information card explaining all the samples and the theme for the month. I was very happy with everything I received this month and couldn't wait to try everything! 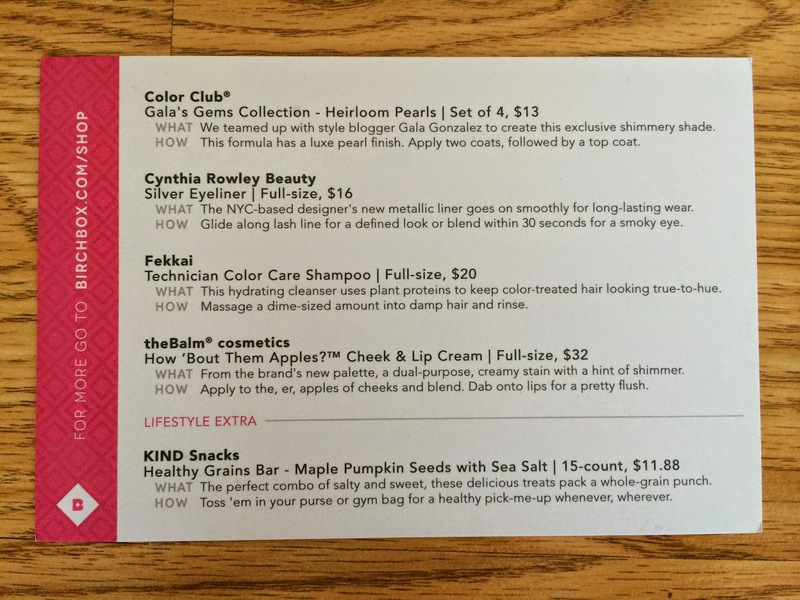 The first sample was Color Club Nail Polish Gala's Gems Collection in Heirloom Pearls. 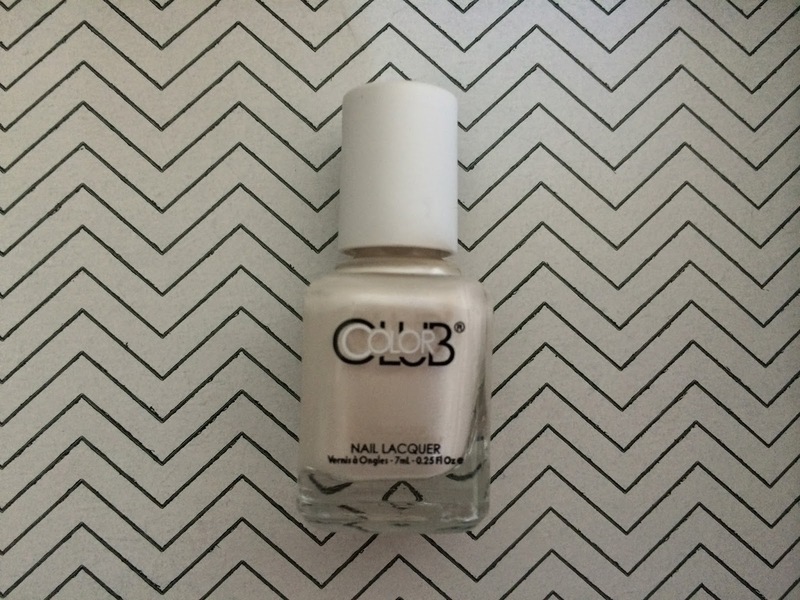 This nail polish requires a few coats for even coverage. It has a nice pearly white color. And I am always happy to get nail polish as one of my samples. 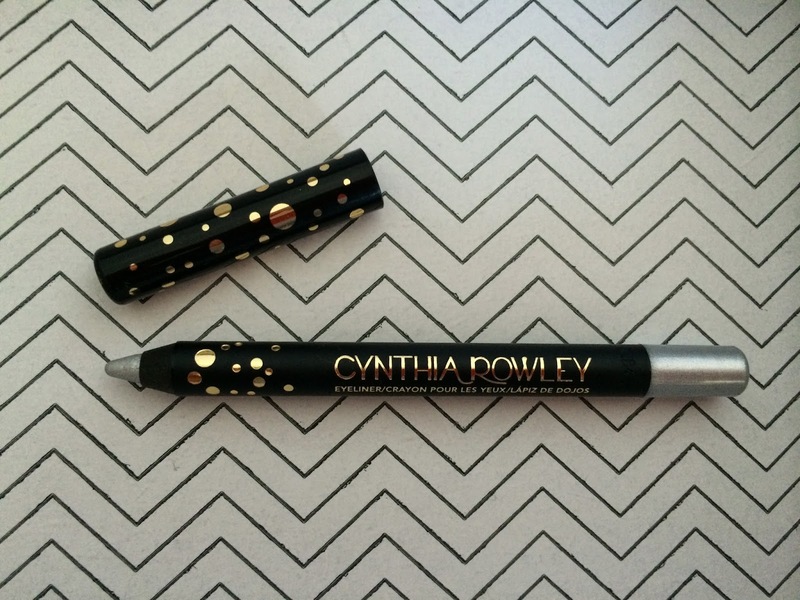 The next sample was Cynthia Rowley Beauty Silver Eyeliner. I don't usually wear eyeliner, but I've been thinking about trying it out, since I receive quite a few in my subscription boxes. I'm not sure of using silver as a liner color, but I love it on the corners to brighten my eyes. This glides on nicely and stays forever. 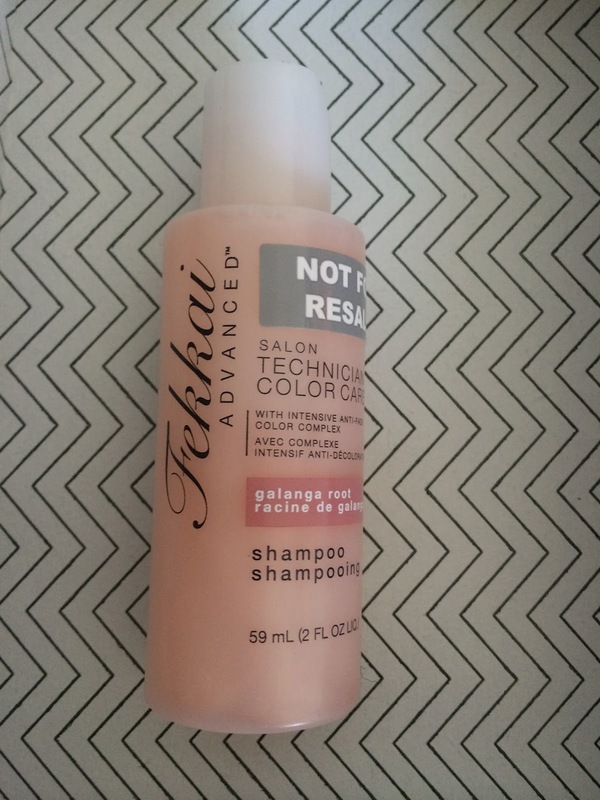 I also received Fekkai Technician Color Care Shampoo. This is a hydrating cleanser that uses plant proteins to keep color treated hair looking true to hue. I haven't tried it yet, but I can't wait to. It smells really nice! 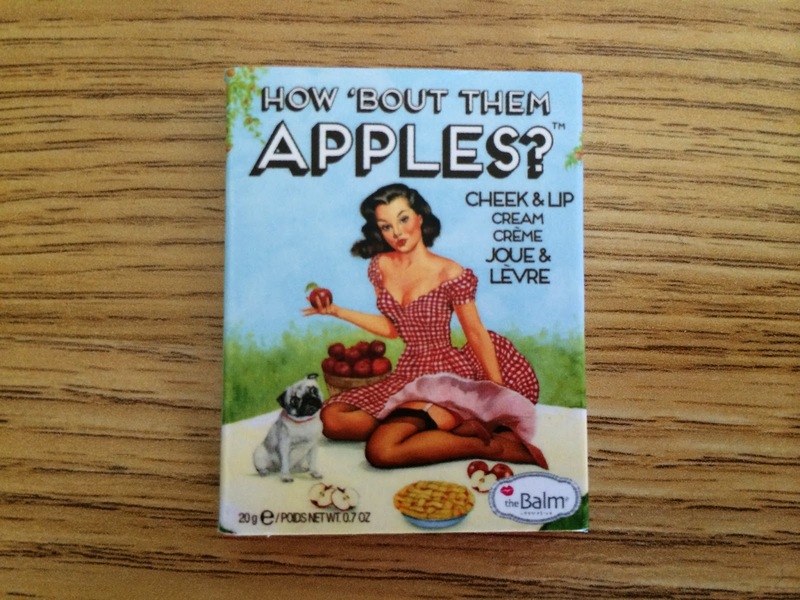 The next sample was theBalm Cosmetics How 'Bout Them Apples? Cheek and Lip Cream. I received Pie and I love it! 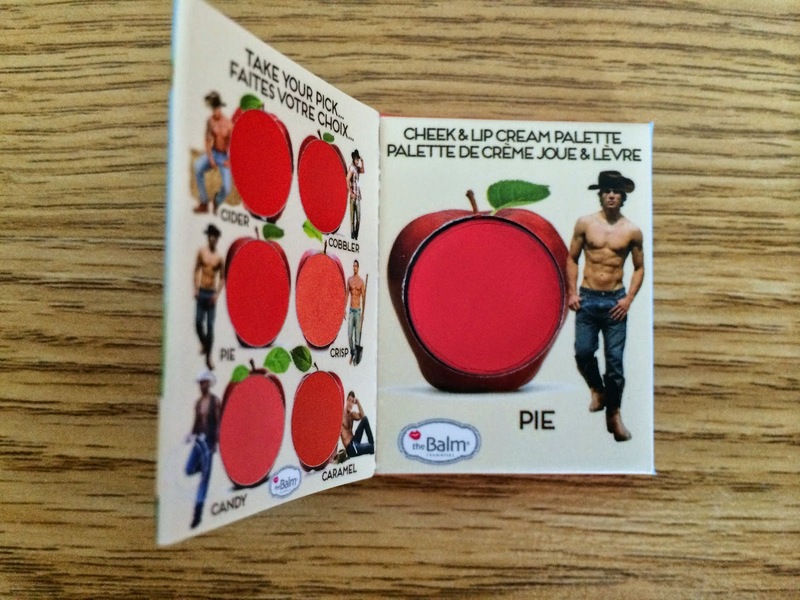 It's not too bright and gives your cheeks and lips just the right amount of color for a rosy tint. It smoothed on nicely and was easy to blend. And how cute is this packaging?!? 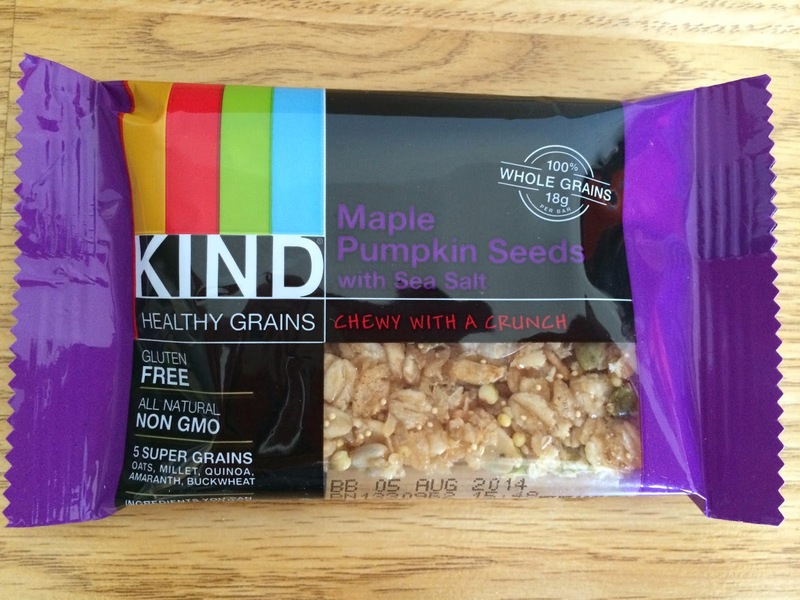 The lifestyle extra sample I received was Kind Snacks Healthy Grain Bar in Maple Pumpkin Seeds with Sea Salt. It had a great maple flavor and was not too crunchy and not too chewy. I always love finding new healthy snacks that taste good! I was very happy this month with every sample I received! 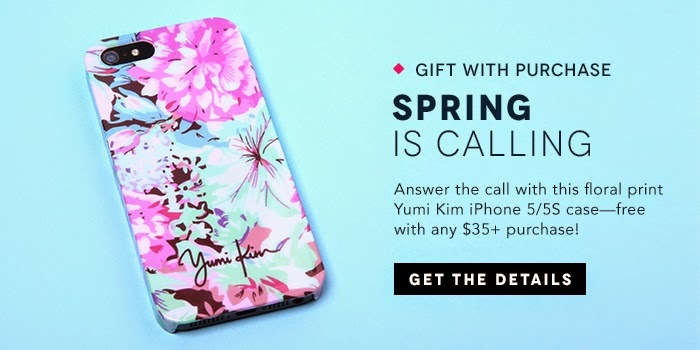 Birchbox also announced a Yumi Kim floral iPhone case as a gift with purchase of $35+ and of course I had to order. I can't wait to see the case in person. It's so perfect for spring! I believe they are still available if you have to have it like I did.